At KNEAD our heart is to reestablish the neighborhood bakehouse by serving a creative, seasonal, all-scratch menu. Our mission is to use food + hospitality to love, serve, connect with, + inspire the local community around us. At KNEAD we strive to create the best food possible by using the best ingredients available. Bread, for us, is the backbone of our inspiration, passion, + imagination in the kitchen. The KNEAD staff is as passionate about serving others as they are about the food they are serving. Hospitality is at the core of why KNEAD exists + that is best shown to our customers through our humble + gracious staff. The Front of House Team exists as the face of KNEAD's entire operation. 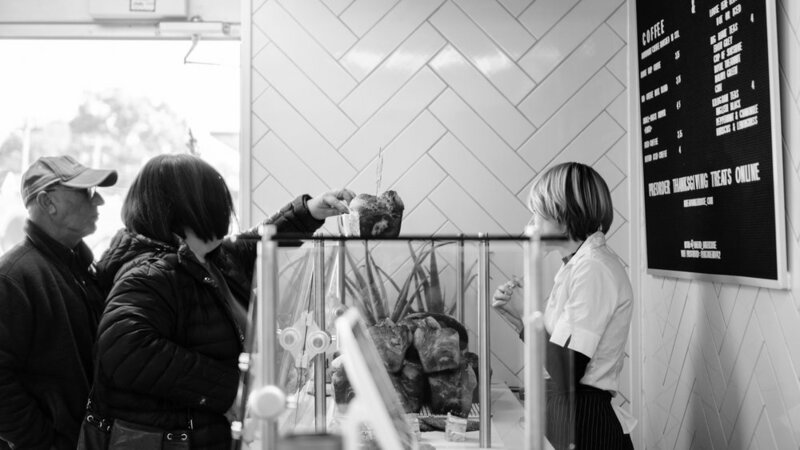 You will be responsible for creating a fantastic + consistent customer service experience that all together represents the heart + mission of KNEAD Bakehouse + Provisions. It is each team members responsibility to follow the lead of the Bakehouse Manager. In addition to maintaining the front of house counter, shelves + tables, the Front of House team serves + connects with each individual that walks through our doors, including your fellow colleagues. Efficiently + effectively operate POS system to accurately complete cash + credit card transactions. Correctly open + close the register each day while accurately handling + counting cash. Regularly lift and/or move up to 25 pounds. Standing is required for the majority of the work day. KNEAD Bakehouse is an Equal Opportunity Employer. This job description is a summary and not all-inclusive of position duties and responsibilities.